Norman (Kodi Smit-McPhee) is your typical eleven year-old loner who has no friends save the non-corporeal company he keeps. He’s timid around regular people and resistant to even well meaning kids like the affably overweight Neil, whom he reluctantly befriends. Macabre movie posters and assorted talismans of death adorn Norman’s room, and he apparently spends a lot of time watching bad horror movies on TV with his (deceased) Grandma. His isolationism is challenged when his mysterious, unhinged uncle (John Goodman) appears to pass on his sacred duty (presumably carried out by Norman’s ghost-whispering ancestors for generations) to Norman, which consists of nothing less than preventing a 300 year-old witch’s curse from raising the dead. Though Norman initially resists this responsibility, troubling visions of the past begin to intrude on his everyday life, and he decides that the urban legend of the witch’s curse might have some truth to it. He ventures alone to a long forgotten cemetery where the seven victims of the witch’s curse are buried. Naturally, they rise from their graves when the local bully, Alvin, prevents Norman from stopping the curse. In the following chaos Norman gathers what few friends he has, forming a ragtag group of misfits to save the town from the zombies and the curse. 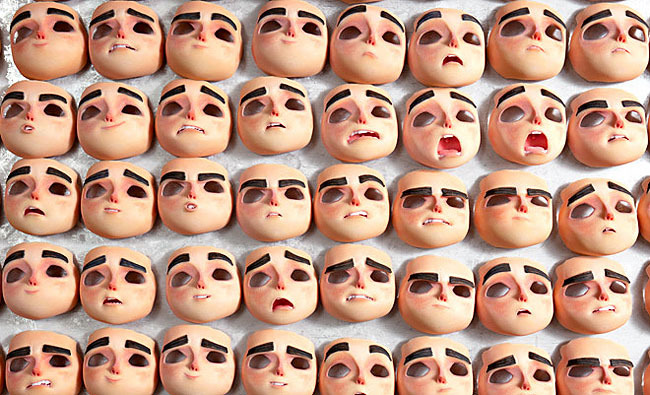 ParaNorman’s last act has quite a few pleasant surprises in it. The townspeople don’t act quite how you’d expect when confronted with the living dead and it turns out there’s more to the witch’s curse than is initially apparent. Everything comes to a well orchestrated head that requires Norman to make some difficult, mature choices and face some hard (historical) truths that are unusually dark for a children’s movie. While some of the morals border on didactic, there is some real heart here, with a solid message about accepting loss and mastering your fear. Despite the strong themes and an exquisitely rendered setting, one of the few problems ParaNorman has is Norman himself. Apart from the requisite scenes affirming his loner status and the familiar emblems of a budding horror fan, Norman is largely a cipher. The supporting characters are more deeply characterized through their individual ticks and caricatured looks, while Norman remains a hero without much of a personality apart from his sense of humor and exasperation with his current situation. This is, perhaps, an intentional omission by the filmmakers to allow as many children as possible to put themselves in Norman’s shoes, which is itself an admirable goal. However, one would hope identity needn’t always be a casualty of broad empathy. Even though Norman himself may not stand out from the long line of identifiable protagonists in children’s films, the denizens of Blithe Hollow certainly do. While their caricaturish depictions are certainly over the top, they intersect reality, as if on a tangent, to a sometimes frightening degree. The more we get to know Norman’s family and acquaintances, the more easily we can see how his obsession with the macabre might just as easily stem from the everyday horrors of small town life in Blithe Hollow as opposed to his routine encounters with wayward spirits. While the portraits of Norman’s parents are certainly loving, they underline the subjective disgust and frustration we often feel towards our own families. His father’s massive, protruding belly and the exaggerated pear-shape of his mother’s body are literalizations of our parents’ tendencies to overcrowd our lives (brilliantly visualized in a shot where Norman stands framed between their imposing midsections). His father’s pointed head is a physical reminder of how narrow-minded he is, while, outside of the family, the sallow complexion, flat top hair and blocky ears of Norman’s nemesis and tormentor, Alvin, turn him into a flesh and blood Frankenstein’s monster. 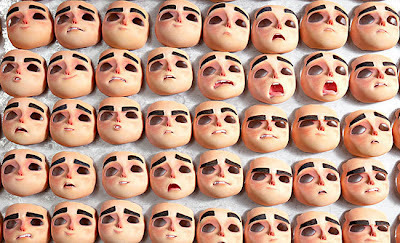 Horror in ParaNorman begins with the everyday. Norman doesn’t think of Death as something to fear, but an unlikely security blanket. The real horror for him is the thought of having to make a real friend, or putting up with his gossip obsessed sister and preoccupied, worrywart parents. Though the main plot takes Norman on a tour of his town’s dark past to help him teach everyone the perils of blind fear and mob mentality, there is also a more subtle, rhyming journey that he takes towards accepting the people around him, warts and all. Norman’s travails ultimately serve to provide an individual lesson in perception and compassion in the face of the unknown or frightening. Finally, the film’s most important transformation occurs within Norman himself: after resolving the curse and achieving the acceptance of his entire family, Norman is able to accept them as well. While the message of accepting the “horrors” of one’s own family may be more submerged than its other themes, ParaNorman still has a bagful of eerie eye-candy and sweet slapstick bonbons to keep kids and adults wanting more. Besides, it’s carefully detailed cast of cartoonish characters will always be ready to accept you into their world, as long as you accept them first.